Teams reveal their needs and issues better when exposed to new environments and challenges. They sometimes need time to better understand who is who, and why, to mend their communication and deal with the internal conflicts. Combine the unique benefit of a team retreat with the personal and group development. Motivate your employees and provide them with the possibility of becoming better team players, considerate people, and improved persons. 3. We give them back to the organization with an improved team focus. Our Team Dynamics System has, at its core, the pursuit of satisfying the basic, emotional, universal, human needs. Relying on Maslow’s theory about psychological needs, we have designed a teambuilding system that works on developing the 3-rd stage of the Need’s Pyramid: social and emotional, and belongingness needs. In the words of Confucius, “I hear and I forget. I see and I remember. 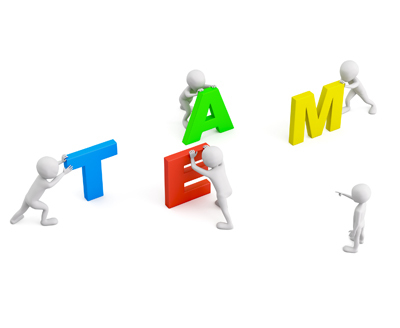 I do and I understand.” – This is why we base our teambuilding system on the grounds of experience. We blend the action with a strong debrief, and we join our Team Dynamics Experience participants on their road to gaining powerful insights that act as change catalysts. This teambuilding experience is all about creating the right environment for development of skills such as: teamwork, creativity, setting objectives etc. We use a practical approach, enabling a Do It Yourself experience. During a one-day timeline, the participants have the task of designing their own ideal working corner, being assigned in teams, and using limited materials such as: wood, paper, rope, etc. At the end, each team creates a short film about their corner, creating a storyline, and explaining why the results represents their team’s identity. This Team Dynamics teambuilding experience revolves around creating the perfect setting for developing team spirit, negotiation and sales skills, and raising motivation. Created as a quest, the Box of Chocolates event is all about experiencing a real-life situation, and using all the available resources in order to achieve a goal. Being put in a difficult situation, the participants need to flow into real-life negotiations and actively use their selling skills, as they are on the streets, with no money, and no mobile phones, with the task of selling chocolates. Let’s turn your teams into a dynamic workforce together!